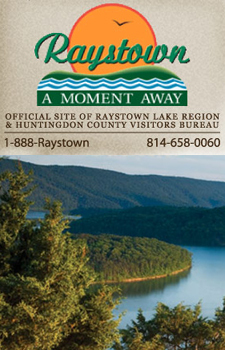 Located in central Pennsylvania’s Allegheny Mountains, Raystown Lake is the heart of Huntingdon County. Many fun places to visit…or rent a houseboat and relax. Copyright 2017 TnT's Custom Screenprinting. All rights reserved.